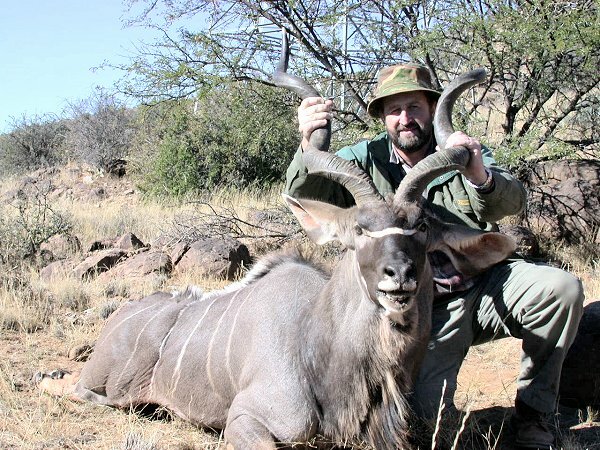 Here is the picture of the Kudu I shot at Cradock in May this year. I load your 130 gr HV bullet in my 7mm Rem Mag in front of 66.5 gr of S365 and CCI Magnum primers. Average speed is 3370 fps and accuracy is outstanding. The shot was taken downhill with the Kudu standing still and facing away from me at a distance of about 250 m. The bullet entered at the base of the neck, shattering the vertebrae but not exiting and dropped the bull in it’s tracks. The bullet was unfortunately lost in the skinning process. The dressed weight of the bull was 189kg with the neck weighing 38kg. The longest horn was 46 inches and was well worn down. 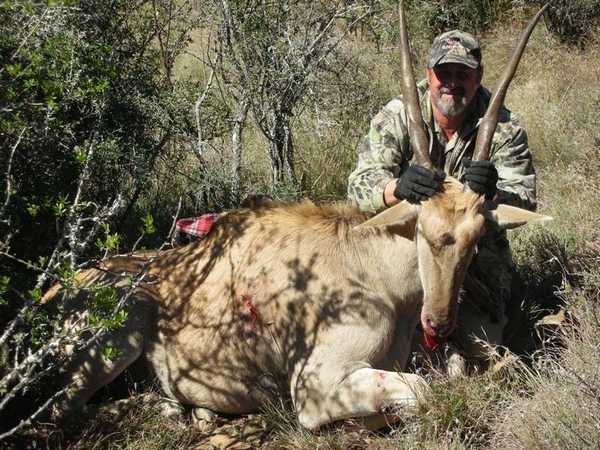 Here is the picture of the Eland Cow that I shot at Jansenville this season. The shot was just behind the shoulder with 7mm Rem Mag using the 130gr HV Bullets. The bullet exited and was not recovered.